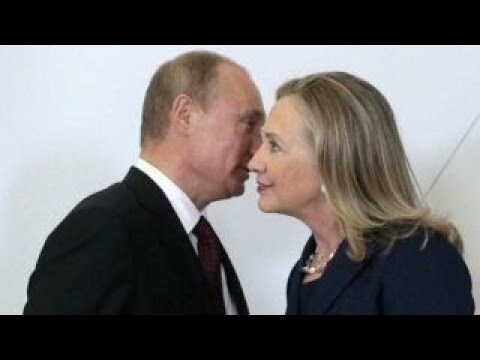 Russian collusion looks like a Democrat party crime. You have go to hand to Democrat minions, even with factual evidence and admissions of guilt, they still refuse to conclude that Hillary Clinton colluded with Fusion GPS, British spies, and Russian agents that no one can possible identify…all in an effort to smear POTUS Trump. Democrat party swamp creatures now claim unawareness and ignorance on the DNC and Clinton campaign funding the salacious, and completely discredited, Trump dossier, as they lose high ground on Russian collusion story…but they still will never admit to any wrong doing. Tucker Carlson tries to have a logical fact base debate on Hillary Clinton’s ‘Trump dossier’ scandal, but this Democrat Congressman stonewalled and redirected every question, much to the frustration of Carlson.